Doing my bit to help spread awareness. Visit Avazz.org for more details and to sign their petition to bring justice to Aung San Suu Kyi and the people of Burma. 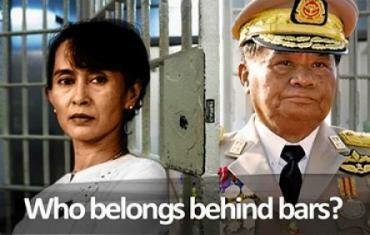 But this is just the tip of the iceberg of thousands of crimes committed by the regime against the Burmese people. Over the next two months, with the UK and the US holding the Presidency of the United Nations Security Council, we have our best chance to get an international inquiry that could lead to the top generals’ arrests. But we need a massive global movement to push the US, UK and the Council to act and persuade China not to veto.